There are times in life that you think that some thing is not for you and maybe you won't do that "something" may be ever in your life. For me having an eyeshadow palette was one of those things! Never in my life I had thought about owning an eye shadow palette but I ended up with one finally and I must say it is not all that I had expected it to be! 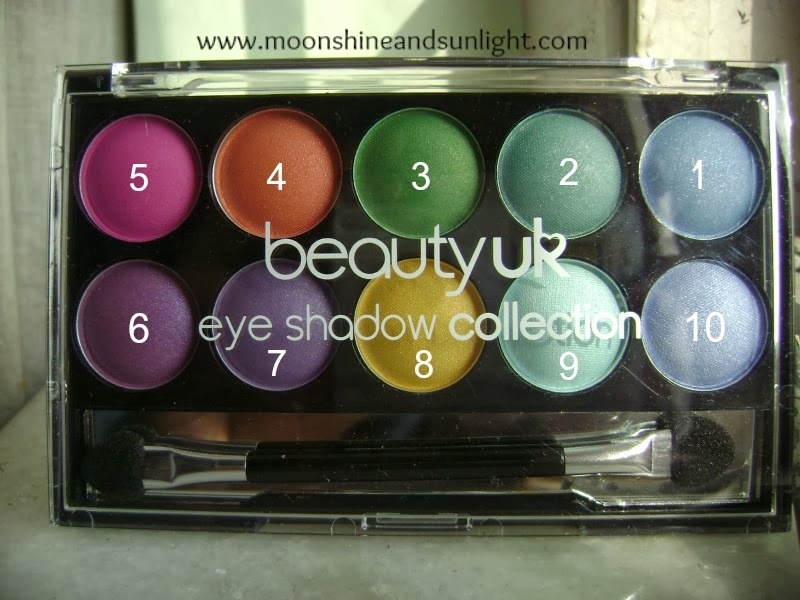 Today I am going to review my first ever eye shadow palette and hope I can properly do that :D.
The palette from Beauty UK is number as no. 2 and named as Soho.You can check it out here. 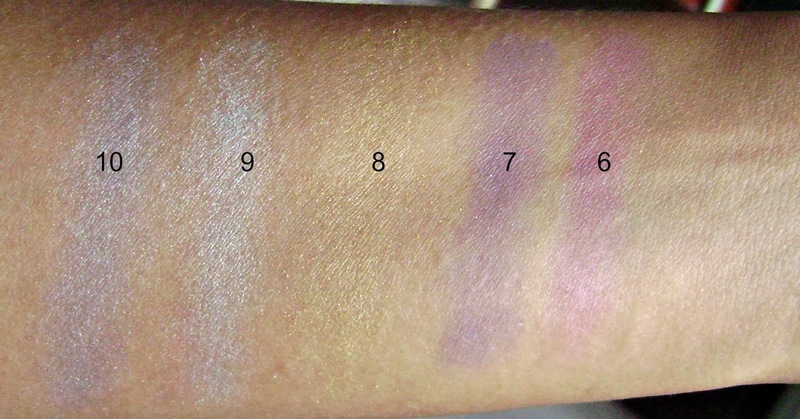 So, I finally have an eye shadow palette and all thanks to Saniya of beautynbuzz.com ! I won a giveaway she held on her lovely blog and got all these ! So now coming back to the review. Pretty good because the ten colors are nicely packed in very small and thin packaging. The little box is also quite sturdy too. And thus scores high point in case of travel friendliness. In this case this has been disappointing for me. 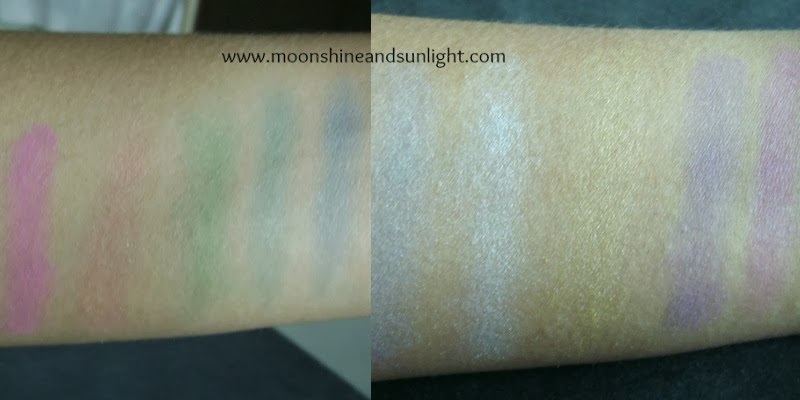 All the swatches above and below are multiple swipes not two ,not three ! then too the pigmentation is not good. Stays for 3-4 hours and then starts to fade away. Texture is a bit chalky. 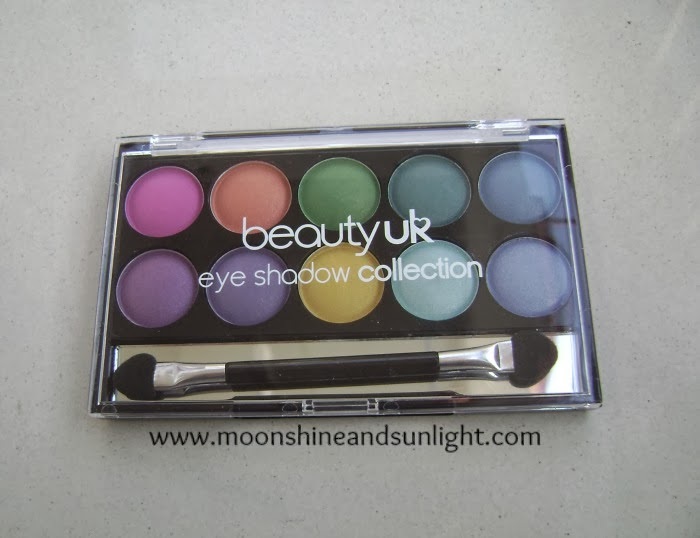 Brush:- Is a standard sponge eye shadow brush . 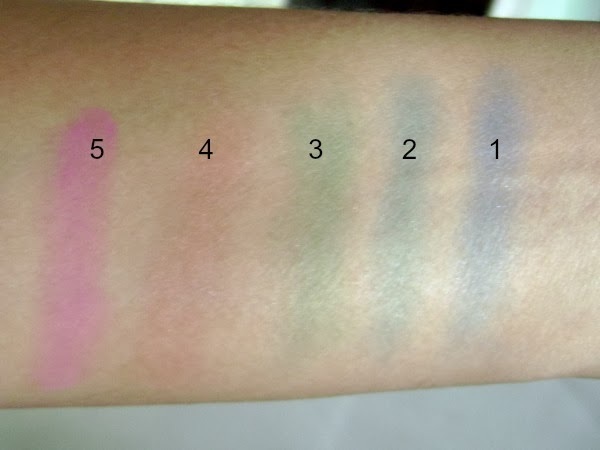 Verdict :- It is a so- so eye shadow for those who use them regularly , but fine for people like me who use these very often as there are 10 colors. I hope you liked it, I would love you you could please tell me what more you were expecting and what you would not like to see. Any changes etc. if I should make that too is very welcome :). Thanks to you ! :D hugss!! Staying Power is the only issue with many eyeshadow palettes available in market and it is really tough for me to judge a good one, but reviews like this helps a lot. AWwww.. Thanks soo much Hetal !! I still have my First eyeshadow palette...Dont use it but itsthere..